Campus as a Lab transforms the UChicago campus into a “living laboratory,” where the community explores sustainability related academic research. 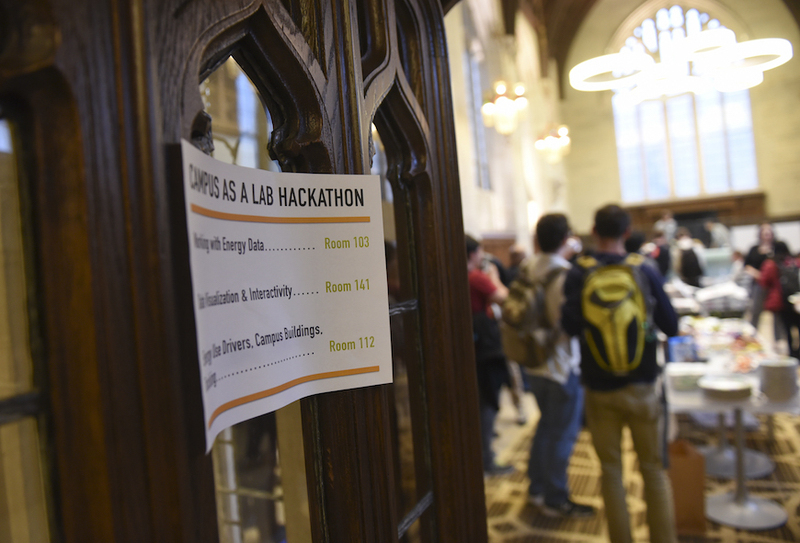 For more information on Campus as a Lab activities and to learn how to get involved in Hackathons, visit here. The Environment, Agriculture, and Food (EAF) Working Group is a scholarly working group focused on topics related to environment, agriculture and food in the Chicago metropolitan region and beyond. EAF promote data collection and analysis to address relevant research questions. Learn more about their research here. The Harris School of Public Policy and the Argonne National Laboratory offer a two-year program leading to a master of environmental science and policy. This program is designed for students interested in assessing the scientific repercussions of various policies on the environment. The curriculum combines elements of science and policy. This page offers information on where to go for resources on environmental science research, programs, majors, and related subjects. It is a great place to start learning about what the University of Chicago has to offer. The University of Chicago Program on the Global Environment is part of the Center for International Studies. It was created to address critical global environmental issues that require both specific area studies knowledge (e.g. knowledge that crosses traditional academic divisions such as that between the natural and human sciences) as well as global and international perspectives and cooperation. Components of the interdisciplinary program include the Environmental Studies BA major and minor, the graduate Workshop on the Global Environment, conferences, lecture series and other events, liaison with student groups and the campus sustainability council, and public education and outreach. Sign up here to get the latest on PGE news, career opportunities, and upcoming events. As a result of the exciting new partnership between the Marine Biological Lab (MBL) in Woods Hole and the University of Chicago, undergraduates at University of Chicago can now participate in The Semester in Environmental Science (SES) program at the MBL during autumn quarter. This program provides rigorous, laboratory and field-based research experiences in the theory and practice of ecosystem science and biogeochemistry in both terrestrial and aquatic environments. The 15-week curriculum focuses on the effects of global change on ecosystems with particular emphasis on how humans alter nutrient cycling and productivity. To learn more about MBL and the resources it offers, visit here.